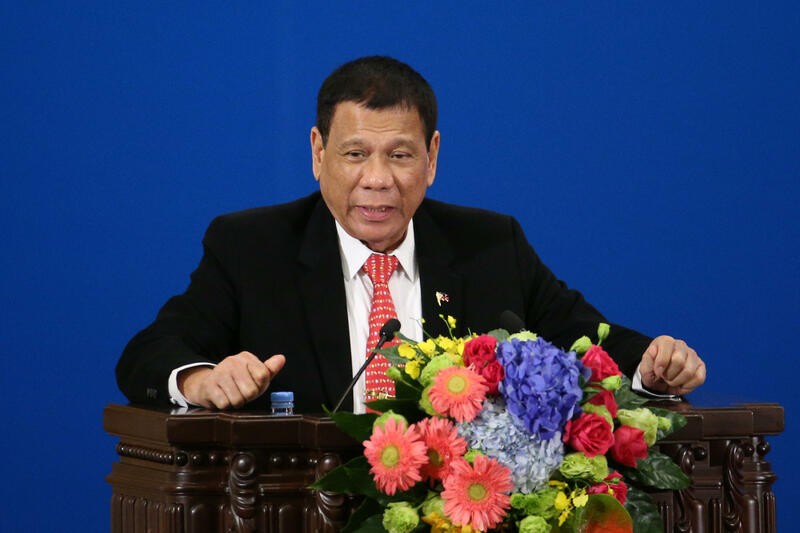 President Trump praised the president of the Philippines, Rodrigo Duterte, during a phone call between the two leaders in late April, according to a transcript published by The Intercept. "I just wanted to congratulate you because I am hearing of the unbelievable job on the drug problem" Mr. Trump said. "Many countries have the problem, we have a problem, but what a great job you are doing and I just wanted to call and tell you that." Thanking Mr. Trump, Duterte said it was what he had to do "to preserve the Filipino nation." Mr. Trump then said, "I understand that and fully understand that, and I think we had a previous president who did not understand that, but I understand that we have spoken about this before." After the phone call that day, the White House released a readout of the conversation, calling it a "very friendly conversation." The readout also noted that the two leaders discussed the fact that "the Philippine government is fighting very hard to rid is country of drugs, a scourge that affects many countries throughout the world." During the call, Mr. Trump invited Duterte to visit him at the White House, which prompted congressional Democrats to protest the move because of Duterte's bloody crackdown that's left thousands of his own citizens dead. President Obama had canceled a scheduled meeting last fall after Duterte referred to him as a "son of a b****" and warned Obama not to question him. Later in the month, Duterte compared himself to Hitler, saying he would be "happy to slaughter" three million drug addicts. He later apologized for the remark. Duterte has been carrying out a drug war in which he's called on armed citizens to shoot and kill drug dealers without trials. A Trump administration official didn't dispute the authenticity of the transcript, CBS News White House correspondent Margaret Brennan reported. While the president did not criticize Duterte for the thousands of extrajudicial killings carried out in his drug war, the offiical said that the administration has had private conversations with the Filippinos about the human rights issues. The transcript, which was first published by The Intercept, appears to have originated from the Philippine government. During the call, Mr. Trump also talked with Duterte about the North Korean threat and told him that the U.S. has two nuclear submarines in the region -- "the best in the world" -- "not that we want to use them at all," he added. The president also told Duterte that "I hope China solves the problem" of the North Korean threat, but "if China doesn't do it, we will do it." Mr. Trump also referred to Chinese President Xi Jinping as "a good guy." Duterte and Mr. Trump will meet at the ASEAN summit. There is no White House meeting between the two that has been scheduled.